Need sewer repairs in NJ? Call us today at A1 Sewer & Drain Services, at 201-645-0888. If you have a clogged sewer or drain line in Morris County, you’ll need cleaning or repair service from an experienced NJ plumber. At A1 Sewer & Drain Services, we’re always available for same-day sewer repair and sewer cleaning service throughout north NJ. We offer 24-hour emergency service for serious sewer problems, with fast response times and quality workmanship. To find out more, or to schedule an appointment today, call us any time at A1 Sewer & Drain Services, at 201-645-0888. The majority of sewer clogs are ultimately caused by gunk and debris that’s accumulated inside the sewer line. This can include paper towels, grease, sludge from waste materials, feminine products, tree roots, and scale deposits. Once debris has narrowed and restricted the path through which water can move, even more materials will get caught up in the clog. This vicious cycle escalates, eventually leaving wastewater with nowhere else to go but back up into your drains. Most debris inside your sewer line can be removed with professional hydro jetting. Hydro jetting is a sewer cleaning process that uses water at very high pressures, even upwards of 4000 PSI, to break apart and clear out debris from the inside of a sewer pipe. Sewer jetting is often a quick process, taking as little as 30 minutes to complete, and almost all of the debris can be removed. After cleaning the sewer pipe, we use sewer inspection cameras to check the pipes for damage that may require sewer repairs. 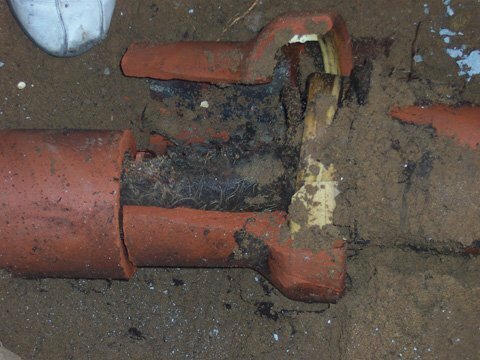 While hydro jetting can clear out debris that’s causing a sewer pipe clog, clogged pipes often have other damage that needs professional sewer repairs. At A1 Sewer & Drain Services, we use trenchless sewer repair solutions whenever possible to keep the repair process as convenient as possible for homeowners. 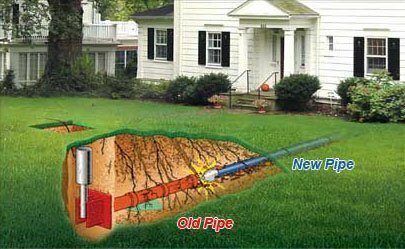 Trenchless sewer repairs allow us to fix many problems with the inside of a sewer pipe, without the need for extensive sewer excavation. Sewer relining. Trenchless pipe lining uses an inflatable pneumatic bladder to insert a soft resin-coated lining into the sewer pipe, keeping it tight against the walls of the pipe. After the resin is hardened with UV or heat, the bladder is removed, leaving a watertight sleeve that lines the inside of the pipe. 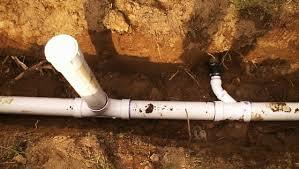 Sewer relining is suitable for pipes with cracks, holes, and leaks, which do not need to be completely replaced. Pipe bursting. 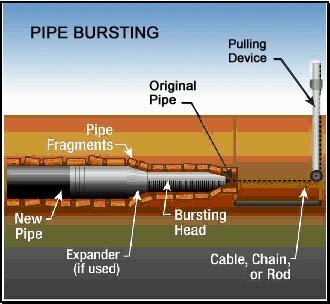 Pipe bursting is a trenchless sewer replacement technique, which uses a hydraulic bursting head to break apart a collapsed sewer pipe. A new pipe is pulled into place with a cable behind the bursting head, limiting the need for sewer excavation. 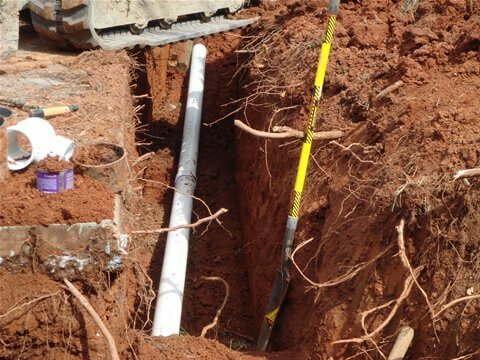 Although we can’t always use a trenchless technique to fix your sewer line, these methods work very well in many cases. This helps free homeowners from the hassle of excavation. Collapsed or severely damaged sewer pipes need to be replaced completely. At A1 Sewer & Drain Services, we provide professional sewer replacement throughout Morris County and north NJ. Using either sewer excavation or trenchless pipe bursting, we can remove and replace a severely damaged sewer main line. To find out more, or for sewer service today, call us any time. For sewer service today, give us a call any time at A1 Sewer & Drain Services, at 201-645-0888.